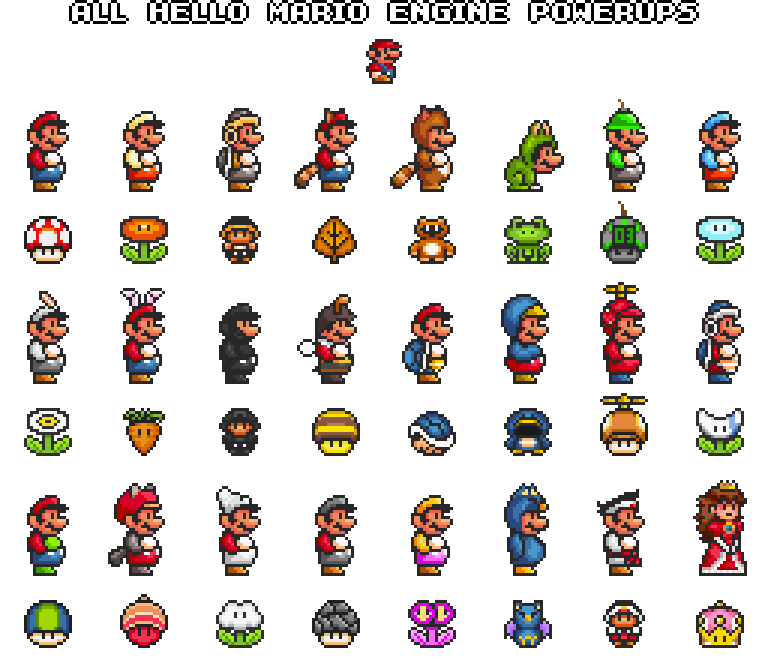 The Hello Mario Engine is an open source Mario engine for GameMaker: Studio that is feature packed, and designed to be easy to expand upon with user friendliness as a priority. The engine is fully documented with thousands of code comments, and includes tons of different powerups, over a hundred different enemies, and much, much more! Seven New Powerups: Added Acorn, Cloud Flower, Rock Shroom, Pyre Flower, Swooper Suit, Karate Suit, and Super Crown. All Seven Koopalings: Added Morton, Iggy, Roy, Lemmy, and Ludwig. 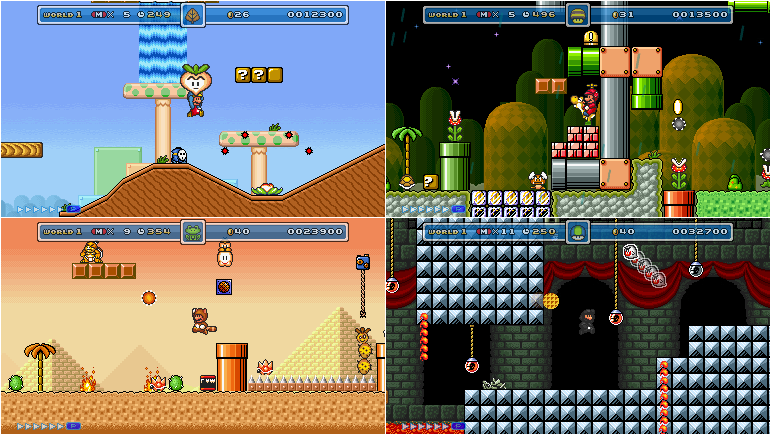 Various New Features: Bomb Bricks, Propeller Blocks, Blue POW Blocks, New Net Koopa and Piranha Plant Variations, etc. Various Bug Fixes: This includes all YoYoCompiler related issues, so you can use YYC export options without encountering any problems. Code Rewrite: Newer, cleaner, fully commented code. High Resolution Filtering: Choose between HQ4X, HQ2X, and no filtering. Better Checkpoints: Supports infinite checkpoints per level. New Powerups: Propeller and Boomerang Mario. New Features: Mechakoopas, green bricks, triple wide question mark blocks, and more! Many Changes to Existing Features: Better world map level blocking, keyhole animation, convex corner support for wall triangles, and more! I might have to check this new engine out someday. The original knight in blue. If I was more of a game designer and less of a coder/spriter, I'd be all over this. Your dedication to this engine's exactitude is commendable. it looks pretty nice, i'll be glad to give you that. if i were a game maker user, i'd be all over this as a framework to figure out how the platform works. Having 24 different power-ups is pretty sweet. I wonder when we'll see a game that shows us Mario's new powers in action! On screen controls for Android and iOS.